Uses: Used for trimming branches, Great for cutting firewood, building and felling small trees. Can be used for demolition of timber framing. 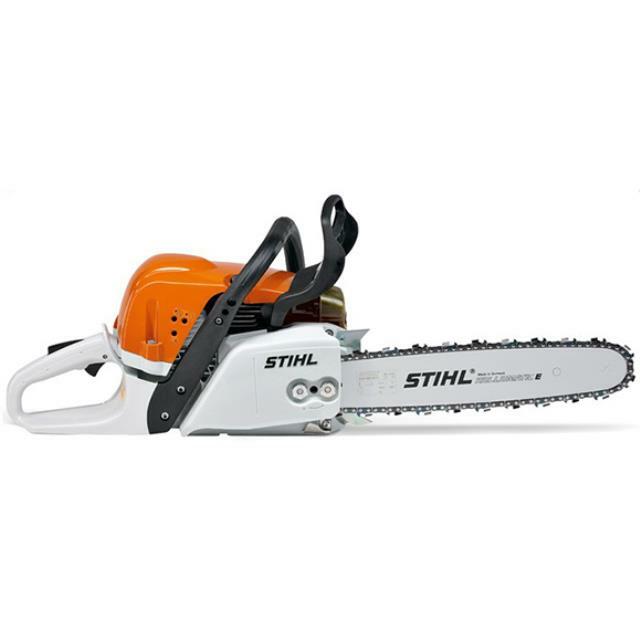 Features: A light and low-vibration chainsaw. Wide range of features such as long-life air filter system and STIHL anti-vibration system. Easy to use. Dead man safety switch. Comes complete with spare chain, oil & fuels. Dimensions: Displacement 31.8cc, Power output 1.5/2.0kW/bhp, Weight 4.3kg.